Ocean Seven Builders (OSB) presents to you an upcoming affordable housing project, OSB Golf Heights Sector 69. And, it sits in a prime area of Southern Peripheral Road (SPR). Also, this project will be within reach of Sohna Road. This will make OSB Golf Heights Gurgaon convenient for traveling. Moreover, there will also be a Shopping Cente and a proposed metro station within a close range of the project. 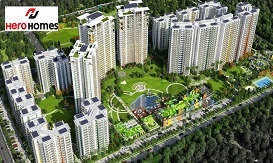 Furthermore, Golf Heights Sector 69 will also offer a range of ultra-modern features and amenities. Such as 24 hours power supply, a play area for children, parking, fire safety system, CCTV surveillance and more. Godrej sector 106 is one of the latest projects on Dwarka Expressway. 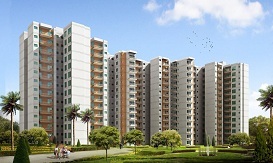 It offers a range of luxurious 2 BHK, 3 BHK and 4 BHK residential flats built by Godrej Property. 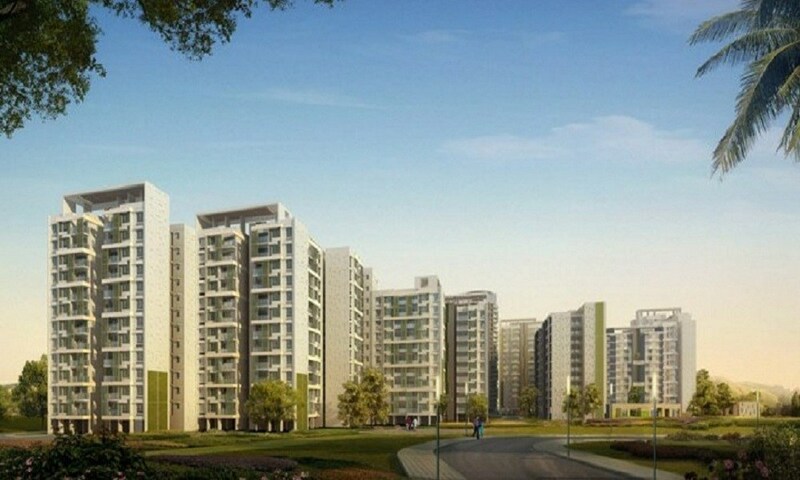 Moreover, the goal is to deliver superior value to the residents by Godrej. So, they built imaginative and outstanding spaces. Furthermore, Godrej Meridien Gurgaon offers a unique design and is a masterpiece of architecture. In fact, the design of Godrej Meridien offers a unique and luxurious living experience. Indeed, the project offers many latest and world-class amenities and features. Hero Homes is an upcoming residential project in Gurgaon by Hero Realty. Moreover, it will be offering a wide range of luxurious 2, 3, and 4 BHK semi-furnished apartments at a prime location in Sector 104 on Dwarka Expressway. Furthermore, the project will feature a 75% Open Area for free living. Also, the project will offer many location advantages. In fact, there will be Hospitals, Shopping Malls, Entertainment Hubs and much more near the project. Also, the Railway Station and IGI Airport will be a short drive away. Hero Homes Sector 104 will have many ultra modern and world-class facilities and features. And, it will make your life experience high-class and extremely comfortable. In fact, it will offer amenities like Clubhouse, Swimming Pool, Badminton Court. Further, a Cafe, a well Equipped Gym, and much more. 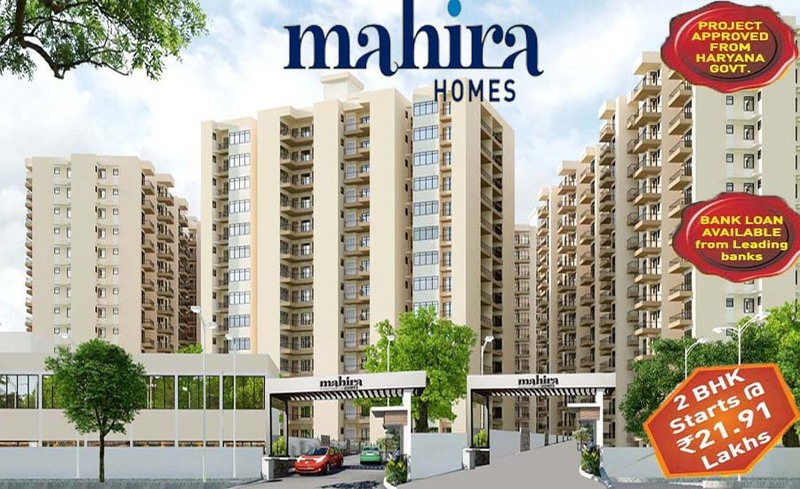 Mahira Homes Sector 68 is the latest project in HUDA Affordable Housing Policy. Moreover, the project is spanning in an area of 10 acres in Gurgaon. Also, it is offering many luxurious 2 and 3 BHK apartments. Furthermore, the project possesses many location benefits due to being on Sohna Road. Additionally, it sits near many shopping malls, schools, and entertainment hubs. And, IGI Airport is a drive away from the project. In fact, Mahira Homes Sector 68 used modern architecture and construction methods in their project. Further, it offers many modern features and amenities helping in making your life very peaceful and comfortable. Indeed, it is providing you with facilities such as 24x7 Water and Power backup, 24x7 Security, a Fire Fighting System and many more. Actually, there will be Hospitals and a proposed metro station nearby. 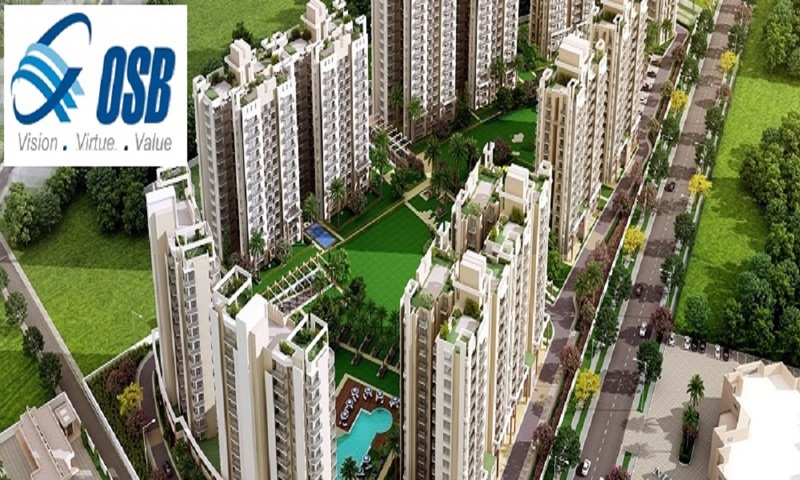 Ninex Affordable Sector 76 is an upcoming affordable housing project in Gurgaon. Moreover, it will be sitting on National Highway-8 which will make it convenient for traveling. Also, its location offers many Medical centers and Hospitals in close proximity. Furthermore, Ninex Sector 76 will offer a range of luxurious apartments in 1, 2 and 3 BHK. Additionally, these apartments are rich in little details and features. In fact, the Affordable Housing project will offer many features and amenities. Such as 24 Hours Power and Water backup, kids play region, well-equipped gym, Fire fighting system and so on. Pyramid Urban on Sohna Road is a great investment in Gurgaon. Indeed, it is an affordable property project by Pyramid Infratech Group. Furthermore, Pyramid Urban Sector 67A is an upcoming luxury project which comes with many worth of usable features. Hence, it offers Apartments with many specifications that help you to live a good life. Signature Global 79 is a property for sale in a list of apartments in Gurgaon. Moreover, it has a wide variety of selective and luxurious 1 BHK, 2 BHK, and 3 BHK pads made to be extraordinary. Also, it offers a bit of Nature to each home. Additionally, Signature 79 has improvement creatives that cover the outline and style. And, also all functionalities which are a fundamental need in a standard private complex. 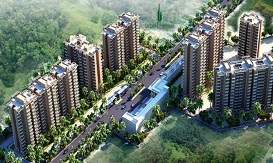 Further, Signature Global Gurgaon Sector 79 is in the list of apartments in Gurgaon. Also, it is a Delhi NCR Property with designer units. Furthermore, this venture is modeled splendidly. It gives access to characteristic light and natural air for ventilation to all rooms for comfort. Adani Aangan Affordable Housing is a private complex situated in the rich green fields of sector 88A. Indeed, it is an ethereal ordeal felt by the general population who dwell here. Moreover, Adani Aangan 88A has favorably composed 886 units of luxurious 1 and 2 BHK Flats. Moreover, it spans an area of 5.56 Acres. Furthermore, Adani Aangan in the list of apartments in Gurgaon is providing a wide range of new apartments in Gurgaon. In fact, the project is planned perfectly and decorated with quality fittings that will without a doubt raise the estimation of your apartment. Thus, Adani Aangan is near Hero Honda Chowk. a noteworthy area of the city and home to many driving organizations. Signature Global Sector 36 Sohna is one of the best property in Gurgaon. Moreover, it accompanies an installment design for your Comfort. Actually, the booking Amount is 5% of the aggregate sum. And, after that, the draw is 20% and staying is 75% of the sum in six simple portions of three years. Furthermore, Signature Global is the builder of many projects in the list of apartments in Gurgaon. 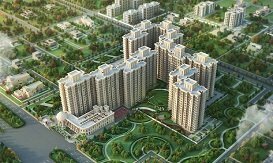 The Serenas Sector 36 Sohna is in a list of apartments in Gurgaon is a venture of Signature Global Licensed by DTCP (Department of Town and Country Planning). Also, it comes under HUDA Haryana Affordable Housing Policy, 2013. Agrante Affordable 108 is one of the best property investment in Gurgaon. Moreover, it offers a range of luxurious 1 BHK and 2 BHK apartments. Also, it features an ideal amalgamation of current design, universal details, and best class comforts. Furthermore, this reasonable 1 BHK and 2 BHK Affordable pads are a fantasy venture. And, will soon be coming to fruition to convey forward the inheritance and esteem of Agrante Realty. Additionally, Agrante 108 has a list of apartments in Gurgaon which offers you serene conditions. Also, it has neighborhood transportation at strolling separation. Agrante Affordable has a phenomenal network by means of wide roadways and other voyaging modes. The Roselia Sector 95A is one of the best residential projects in Gurgaon. Also, Roselia 95A is the Sixth affordable project launched by the Signature Global. And, offer flats to the residents at an affordable price. Moreover, it occupies a land of 8 acres. Furthermore, the project consists of 1049 units of luxurious apartments. In fact, it comes equipped with some of the finest amenities. Such as, swimming pool, creche and integrated clubhouse. The project is sitting on Pataudi Road Sector 95 A. 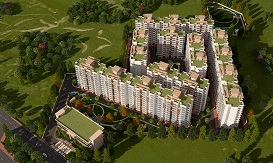 In short, Signature Global The Roselia is new affordable housing projects in Gurgaon. And, the project comes with an easy payment plan in which the residents gives the 5% amount at the time of booking. Maxworth Aashray is in the list of apartments in Gurgaon. Moreover, it is not just another affordable housing residential project but a perfect home built for the future homeowners with care. Also, more attention and concern. Furthermore, Maxworth group satisfies the demand of affordable housing project by offering luxurious new flats in Gurgaon. Also, it extends its field in the most preferred location of Pataudi Road sector 89. 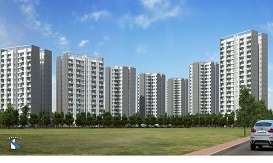 Actually, Maxworth Ashray Sector 89 is an upcoming affordable housing scheme in Gurgaon. Additionally, it is designed to offer its householders a luxurious living experience. And, it also gives respect to family, society, comfort, celebration, privacy & security. At Maxworth Ashray is a list of residential apartments in Gurgaon which offers peaceful living. And, provides a strong foundation of togetherness and horizon of pleasure. Indeed, it is one of the best new projects on Dwarka Expressway With a huge garden at the center of the buildings. our esteemed residents could enjoy a calm and soothing moment at any time of the day. Signature Global The Millennia is a project with an exceptional blend of affordability and contemporary luxuries. Moreover, it sits at sector 37D in Gurugram. And, this list of apartments in Gurgaon is only 6 km away from the site location of the project. Also, it is well connected to Rajiv Chowk and Hero Honda Chowk. Furthermore, the proximity to workplace, shopping malls, schools and hospitals etc. make Signature Global The Millennia 37d the perfect affordable housing projects in Gurgaon. Signature Global the Millennia is a moderate list of apartments in Gurgaon Residential Housing venture. Actually, it is specially designed to make luxurious apartments. Also, it offers spacious and stylish 1 BHK, 2 BHK and 3 BHK low budget flats in Gurgaon. And, conceived to offer you the quality of life like never before. Signature Global Sector 37d is an affordable housing in Gurgaon which comes equipped with the finest amenities. Additionally, it is also enriched with nature and a lifestyle that you have always dreamt of. 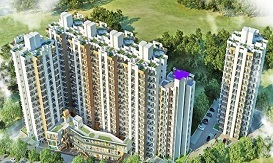 Signature Global Sector 63A is a list of apartments in Gurgaon under the new scheme of HUDA. Moreover, it enjoys many location benefits. Such as, being just 2 minutes away from nearest Metro Station. And, just 20 minutes-drive to IGI Airport Terminal 3. Also, it gives all the daily needs for you to live a good relaxed life. In short, Signature Sector 63A is a superb and wonderful space to live a life with almost all key features and facilities. In fact, this makes it easy to buy a flat in Gurgaon. Furthermore, it offers many facilities for Gym and fitness lovers. Such as, having world-class and modern machines. Also, well equipped Gym, Spa, Yoga and Meditation lawns, spacious and green zone for kids. Also, Club for social gatherings and parties. Stilt parking is there for residents as well as visitors. 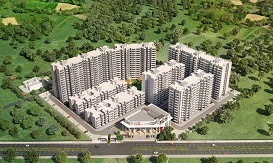 Signature Grand Iva is a HUDA affordable housing Gurgaon project. Moreover, it gives you an opportunity to live in a house that matches your expectation. And, also makes it easy for you to buy a home in Gurgaon. Furthermore, Grand Iva has a luxurious property and offers you to buy a 1 and 2 BHK apartment size of 420 sq.ft to 712 sq.ft. respectively. Also, it offers high-class benefits, well infrastructure, superior designing and affordable price policy. Hence, This list of apartments in Gurgaon assures you to provide a rich and comfortable living. Grand Iva 103 is an affordable Housing Gurgaon 2016 project which sits in sector 103. In fact, it nests in a green location near Dwarka Expressway. Further, there are a medical facility, business hub, entertainment Zone available close to the Signature Global Grand Iva. 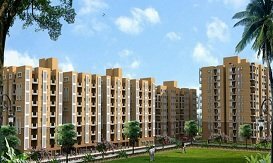 AVL 36 is a housing project approved under HUDA affordable housing scheme in Gurgaon and is designed for peaceful living. Also, the project is well planned and has a design that proposed a multi-story affordable complex. Further, it spans an area of 9 acres. Moreover, it consists of luxurious 1, 2 BHK apartments that give you a high-class living. Furthermore, AVL Sector 36A uses high-quality material and modern technology in its construction. Also, the apartment quality is superior, eco-friendly and comes at an affordable cost. 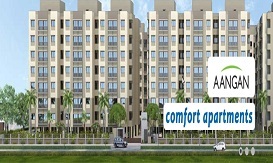 Additionally, AVL Sector 36A is a list of apartments in Gurgaon connects to Manesar, IFFCO Chowk, Rajeev Chowk. Also, Sohna Road and Dwarka Expressway are conveniently close.